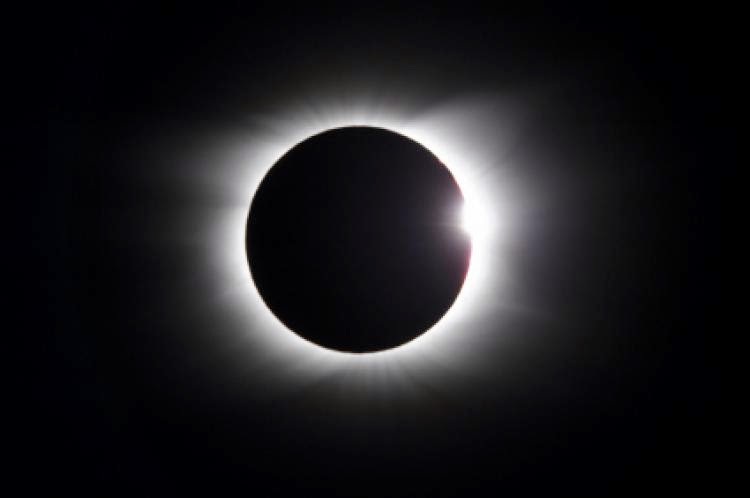 Phonebox Magazine : Solar Eclipse coming soon! Britain's biggest solar eclipse in 16 years is set to take place later this month, and will block out up to 90% of the sunlight across parts of the UK. It's going to be a partial eclipse, and will last for around two hours. A solar eclipse is formed from the moon passing in front of the sun, casting a huge shadow over the earth. The next solar eclipse after this one isn't expected to be until 2026. The eclipse will take place on the 20th March, and is set to begin at 8.40am in London, and last for two hours, with the darkest point being at about 9.30am. It's a rare occurrence and well worth taking a look at, by following safety recommendations. The sun can only be looked at directly if filters specifically designed for eclipses are used. Projection is another way of observing the event, and can be made at home: Place a pinhole or small opening in a card and hold it between the sun and a screen, a few feet away. An image of the sun will be seen on the screen. Questions are being raised as to whether the eclipse will create a strain on Britain's energy supply, and while unlikely as so little of our energy comes from solar power, it is difficult to tell due to the increase and advancement of technology in energy vince the last solar eclipse took place. It's just under 3 weeks until the eclipse, so you've got time to get hold of some special glasses or to make your own projector! For more information on staying safe through the eclipse view the video below.